At Liberty University, we want to give you the education you need to make a difference in the lives of students with Autism, and our online Graduate Certificate in Autism Education explores current and developing special education trends within Christian, public, and private schools settings. 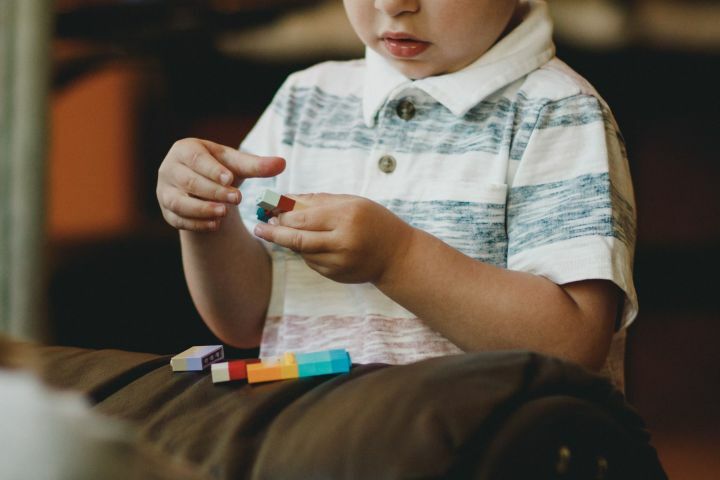 Our Autism education graduate certificate online program will explore characteristics of and interventions for students with autism – including available social, educational, and behavioral strategies to improve their learning environment. Designed to help you provide the best education possible to all your students, our Graduate Certificate in Autism Education equips you with proactive strategies for encouraging positive behavior as well as language and skill development in students with Autism. Why Choose Liberty’s Online Graduate Certificate in Autism Education Program? Our Graduate Certificate in Autism Education is an online program designed to help you understand common characteristics of autism spectrum disorders so you can provide for the needs of your students within the autism spectrum. Throughout your autism education certificate program, you will study under professors who have served as teachers and administrators in real-world K-12 settings. These seasoned education professionals take what they learned in their careers and translate it into practical applications that you can use in your own classroom. Our Graduate Certificate in Autism Education program is offered 100% online, so you can further your own education without uprooting your life. With eight-week courses and no set login times, our graduate autism education certificate program online is formatted to help you maximize your time, so you can stay involved with your family, career, and community. What Will You Learn in Our Graduate Certificate in Autism Education Online Program? In our Graduate Certificate in Autism Education program, you will study leading Autism research, instructional best practices, and effective behavior management methods. Our online Graduate Certificate in Autism Education emphasizes individualized, classroom-based, and school-wide behavior support to prepare students for both special education and general education classrooms and community settings. By earning you Austism education graduate certificate from Liberty University, you will be prepared to impact your students with excellent instruction and genuine care, as a Champion for Christ. You will also learn strategies to increase your communication abilities through an emphasis on the visual aspects of language. Our Graduate Certificate in Autism Education program online provides an overview of communication, language, and sensory research on etiology to equip you with interventions strategies for individuals with ASD in clinical, home, and school settings. Included in this autism certificate are strategies for team building, program planning, evidence-based decision making, and evaluation. By earning your Graduate Certificate in Autism Education from a nonprofit university whose online programs ranked in the top five of more than 2,100 online colleges and universities for academic quality, affordability, and accessibility, you will be set apart from others in your field. Our Graduate Certificate in Autism Education program can be completed online in as little as one semester. You can transfer your autism certificate courses into a related graduate program to when you are ready to further your education. You may also be interested in taking the next step in your education with Liberty University’s online Master of Arts in Teaching – Special Education. This graduate certificate program falls under the School of Education. Download and review the Certificate Completion Plan for this online program.